With memories of summer touring and racing safely stashed away, my thoughts have started turning to the winter wonderland that our whitewater rivers bring us. Whether it’s in a kayak or a canoe I’m looking forward to travelling north and west to enjoy spending time on our upland rivers and the thrills (and spills!) that they can bring. Paddling whitewater offers both personal challenges and the chance for us to develop our personalities, promoting teamwork and co-operation, decision-making and leadership in an environment far beyond those found by most people in their day-to-day lives. Whether it’s having worked out a line for yourself and then proved that it’s runnable, or showing others a line and then having seen them achieve it for themselves, there’s nothing like sharing a meal and perhaps chatting over a beer in the evening knowing you’ve had a good day on the river. As well as paddling for my own enjoyment I’ll be offering personal skills and river leadership training again over the winter months. 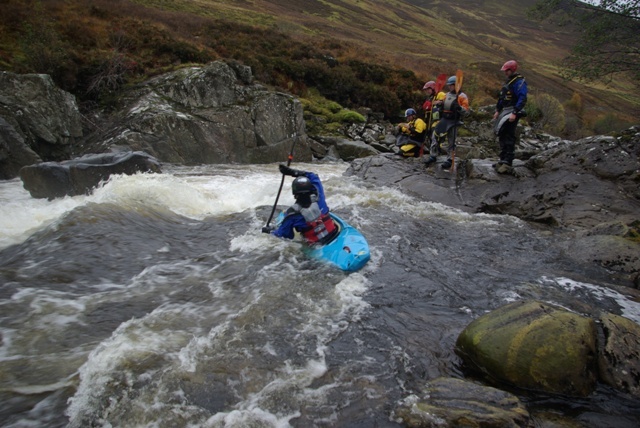 If I can help you achieve some of your whitewater ambitions do get in touch.